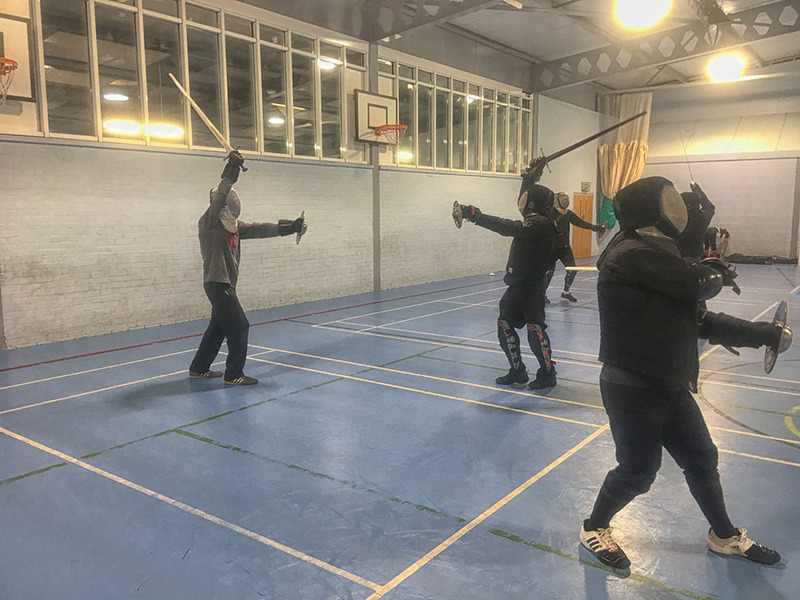 Another busy night at Godalming last Wednesday. 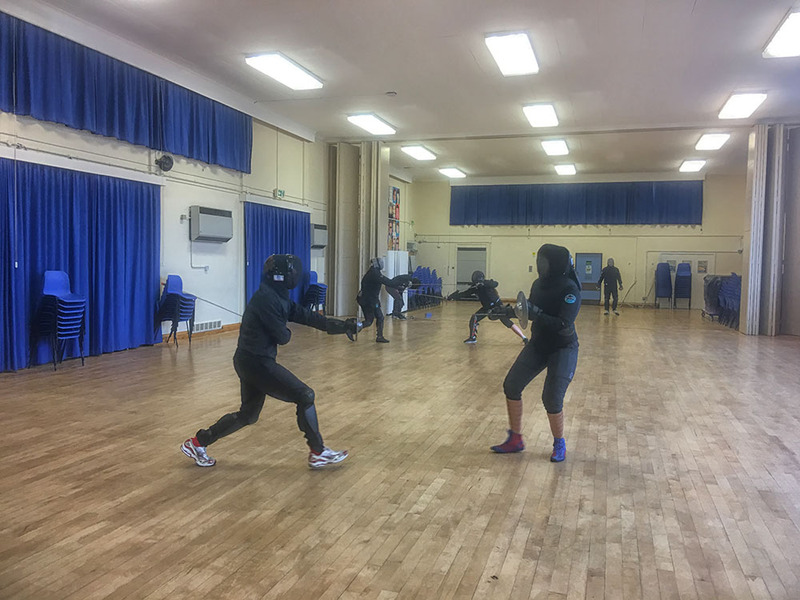 Pim took the Bolognese group, giving each of the students a little 1-t0-1 coaching, while Fran and Lizzie worked with the beginners. 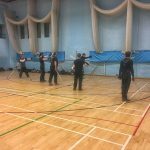 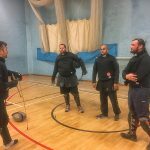 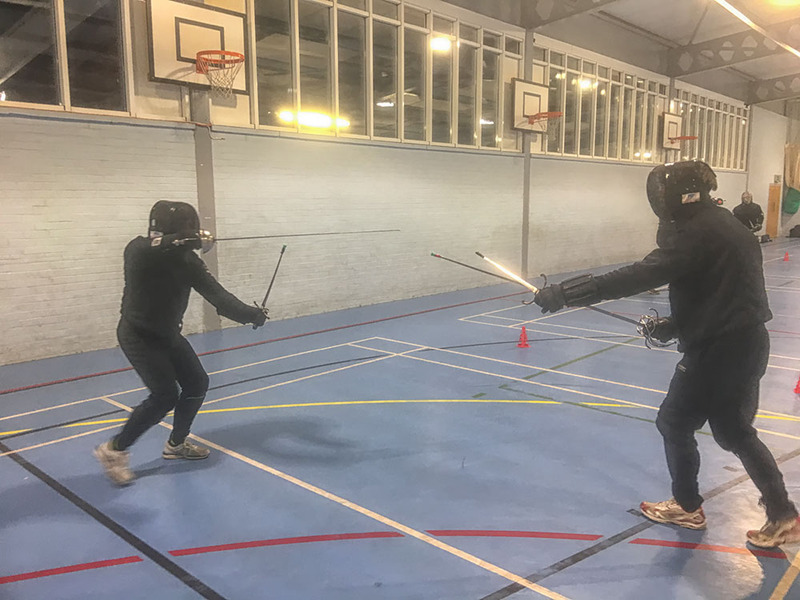 The rapier & dagger group did an evening of sparring as some of them prepare for the Swordfish tournament in Sweden. 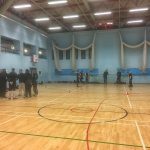 Another busy and energetic night at Reading last Monday. 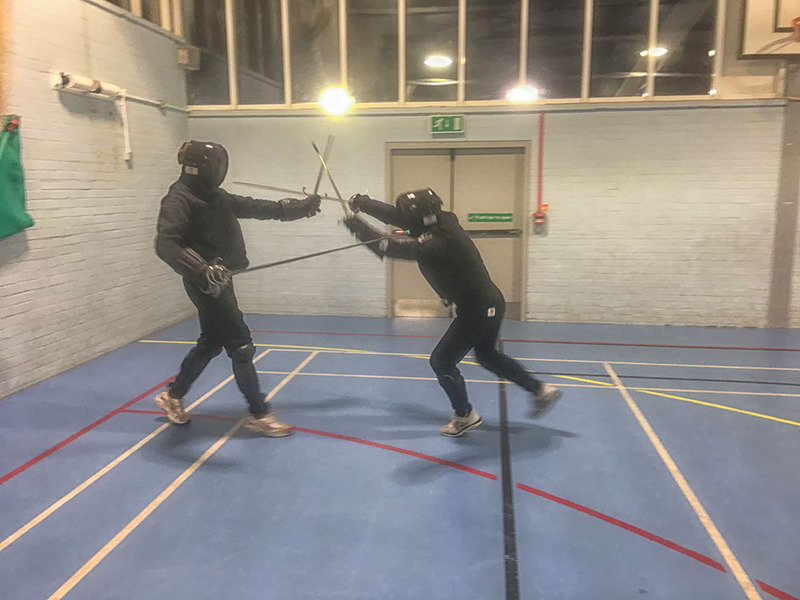 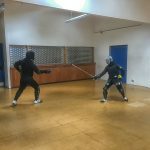 After a couple of weeks of training and with both Swordfish and Bucklerthon looming, the studente in both the Bolognese and rapier & dagger streams had chance to put what they had learnt to the test with a lot of sparring. 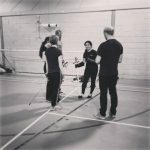 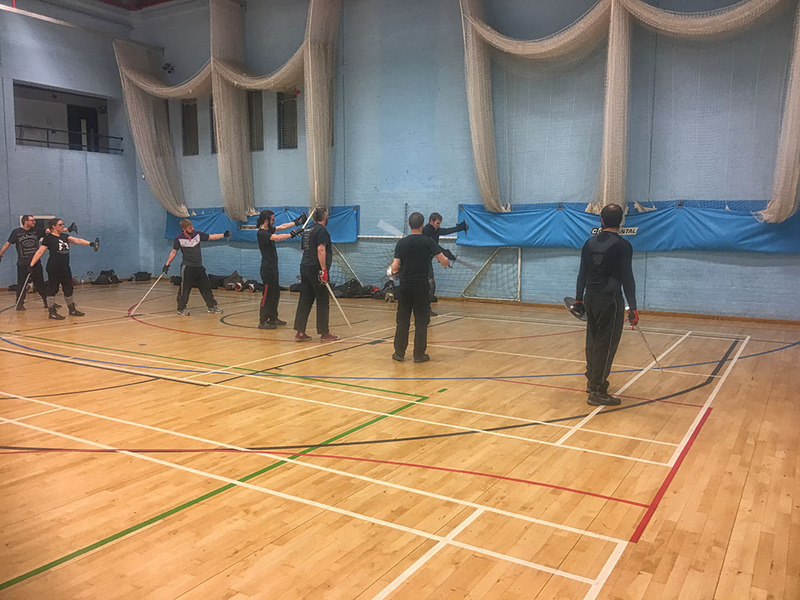 Meanwhile Matt continued his work on the foundations of swordplay with the beginners working towards their safety test. 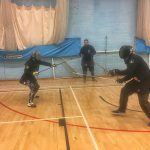 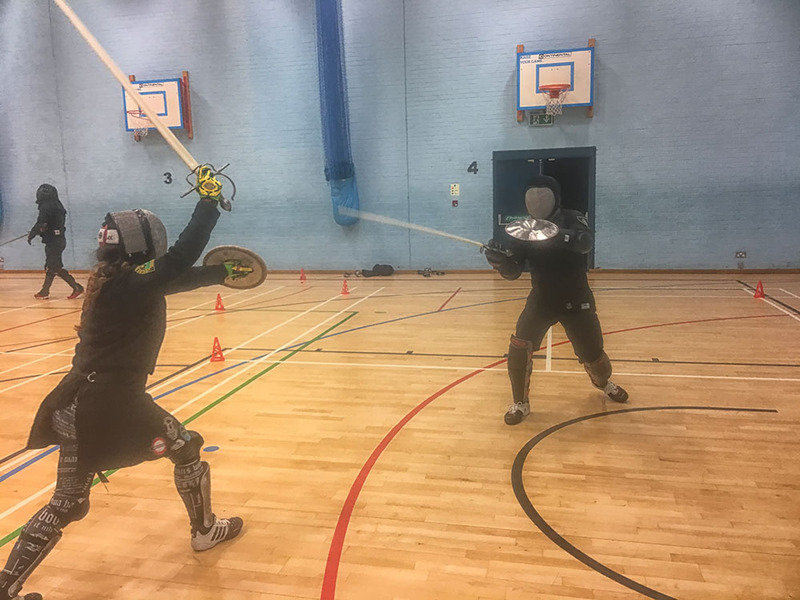 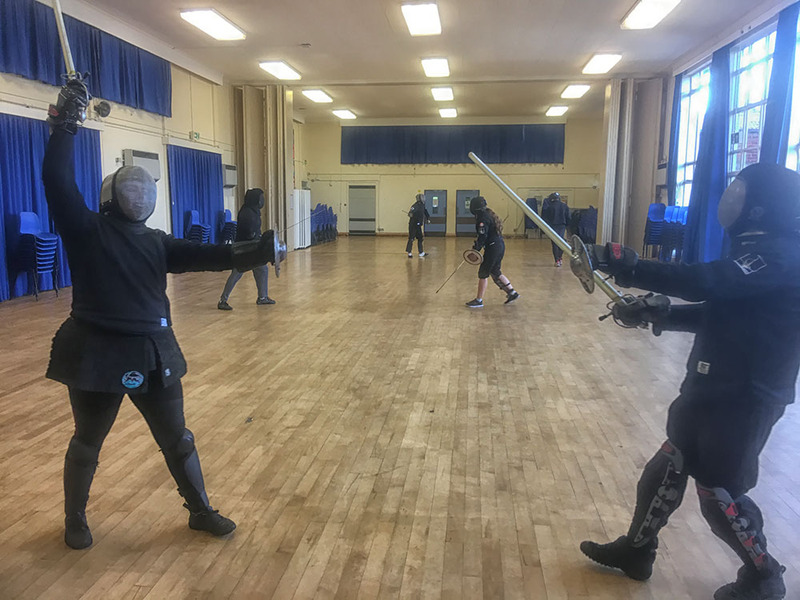 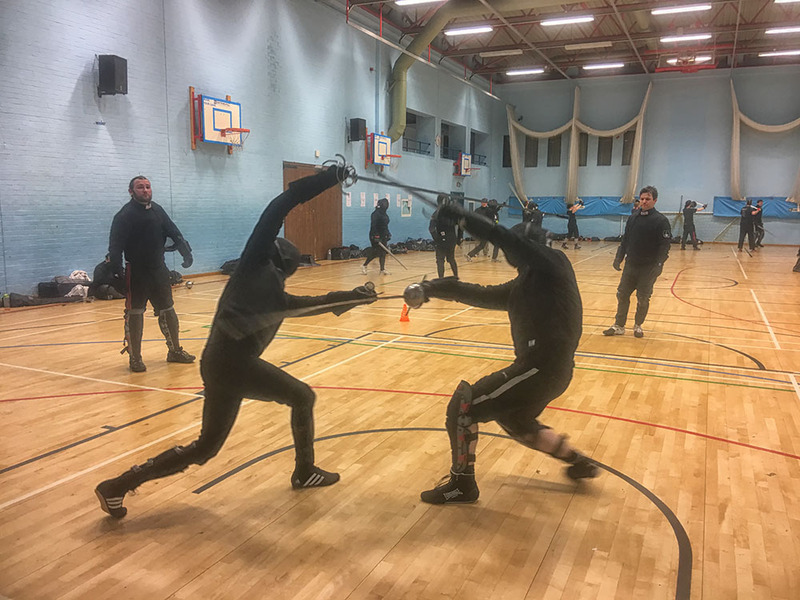 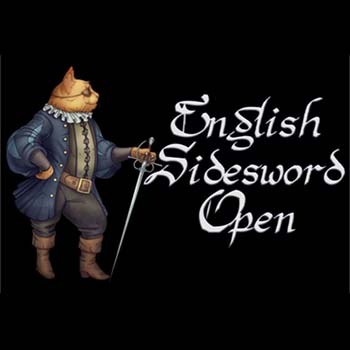 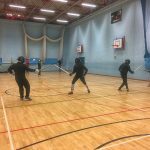 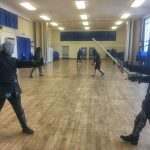 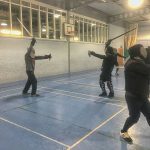 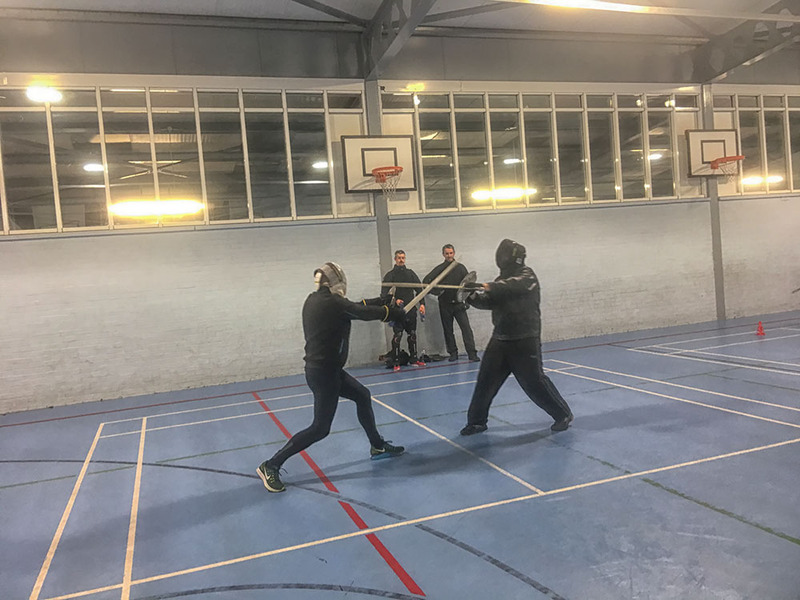 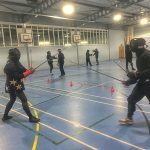 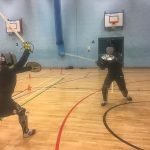 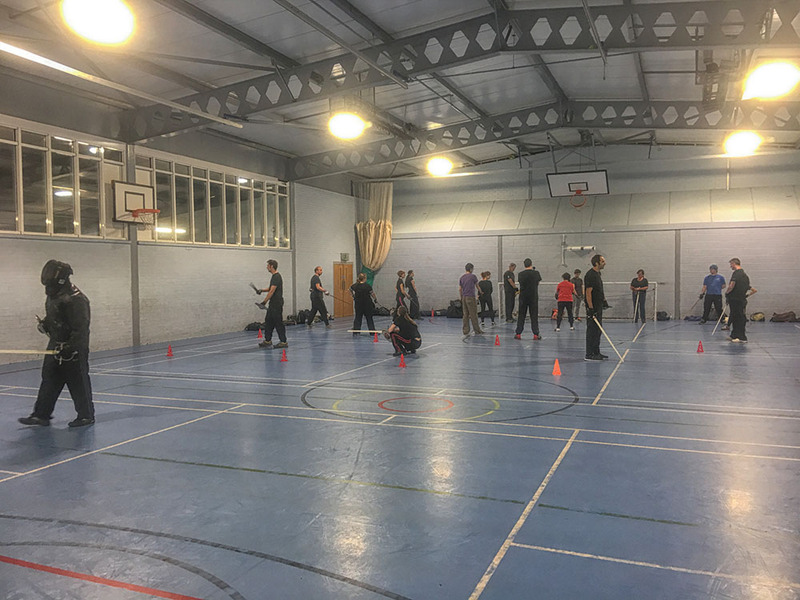 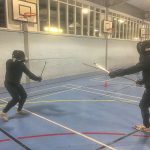 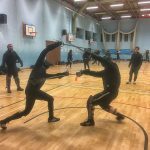 Swordfish is one of the premiere tournaments in the HEMA competition and is one that historically, the School of the Sword has done very well at. 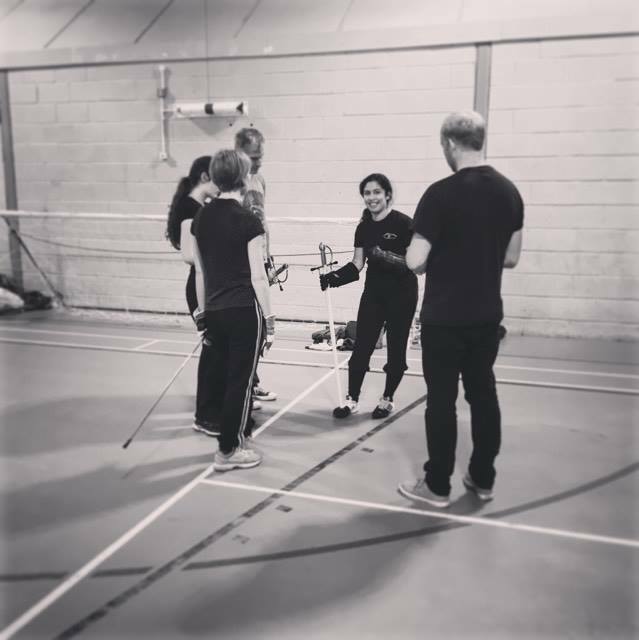 This year we are sending eight of our students to Sweden for Swordfish, many for their first time. 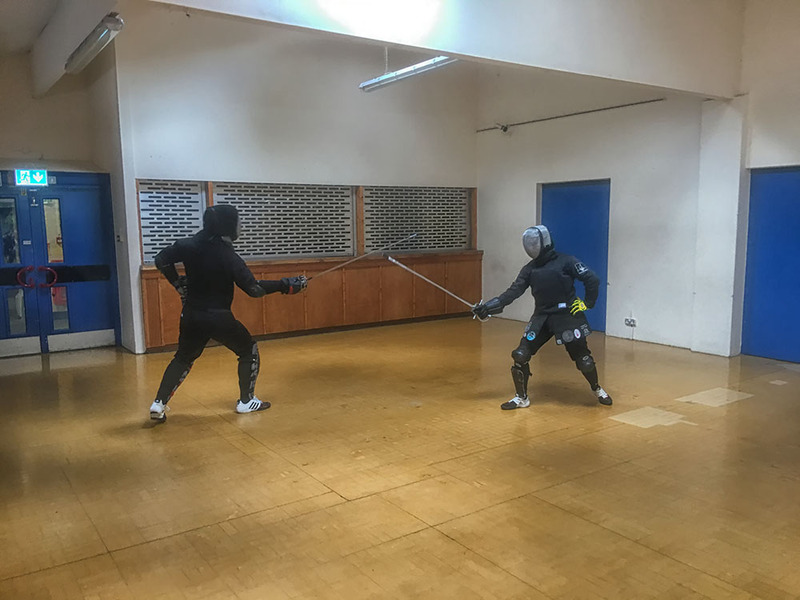 On Sunday they gathered for a pre-tournament bootcamp. 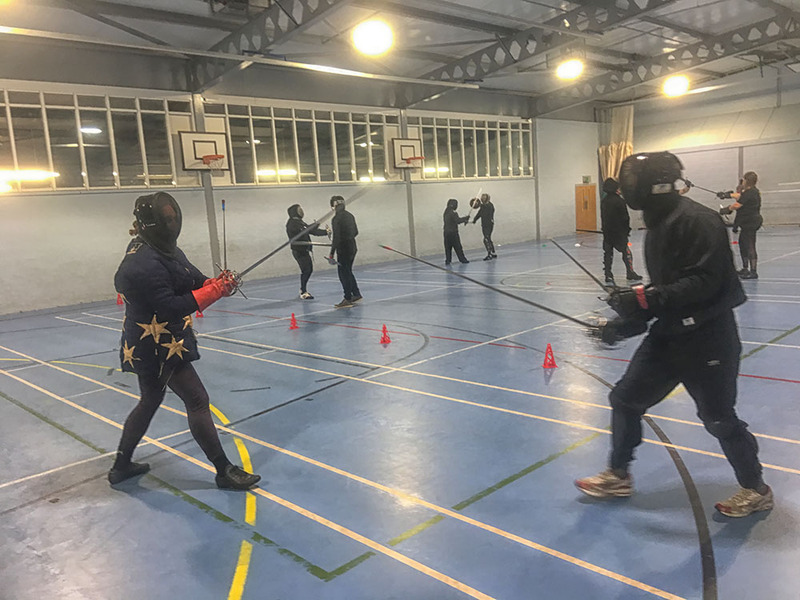 The event was attended by senior instructor Phil Marshall and school founder Caroline Stewart who offered constructive advice and micro adjustments aimed at helping our team. 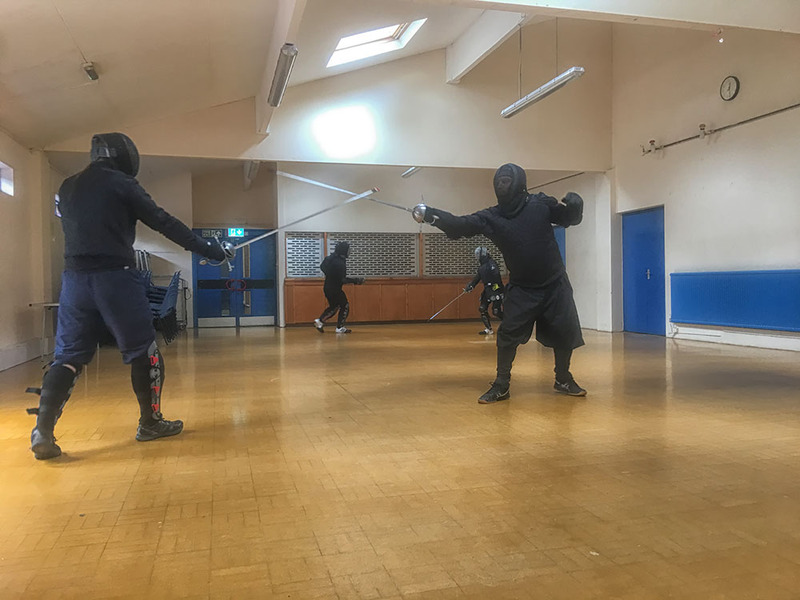 Last Wednesday night saw our regular training session in Godalming and a new intake of new students. 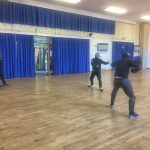 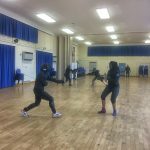 They started a six week course on the foundations of swordplay with Fran whilst Pim did some tournament pre with the rapier & dagger group. 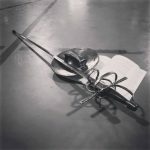 Meanwhile Lizzie finished her teaching block on Manciolino plays. 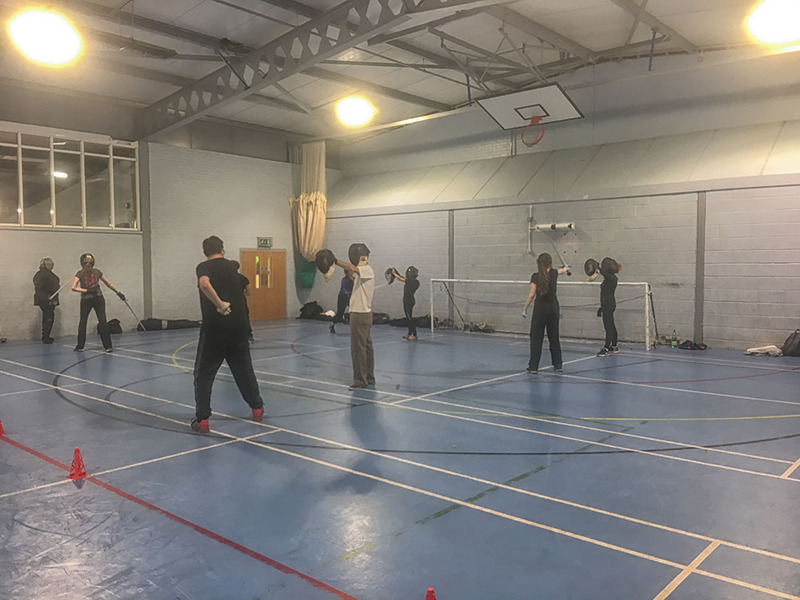 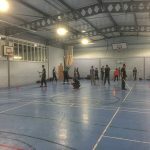 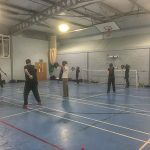 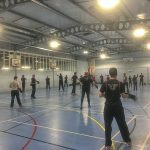 It was our regular training session in Reading last Monday and students turned out to participate in one of three training streams. 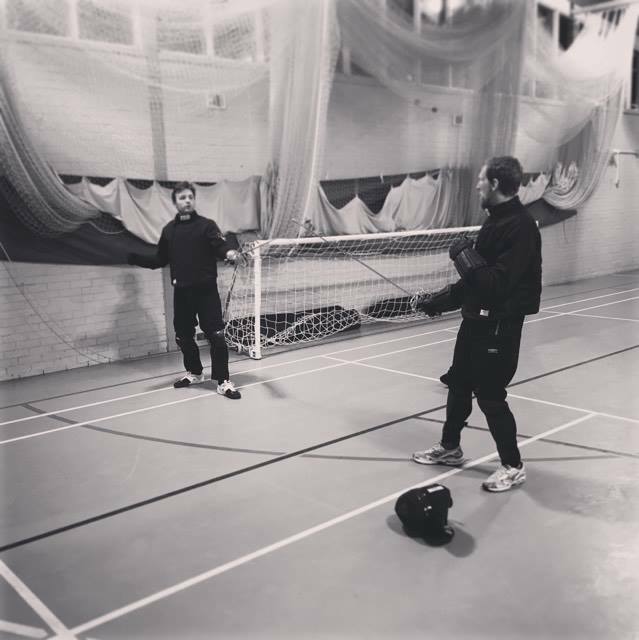 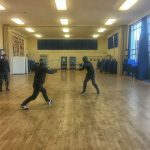 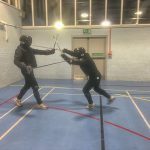 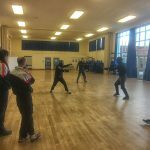 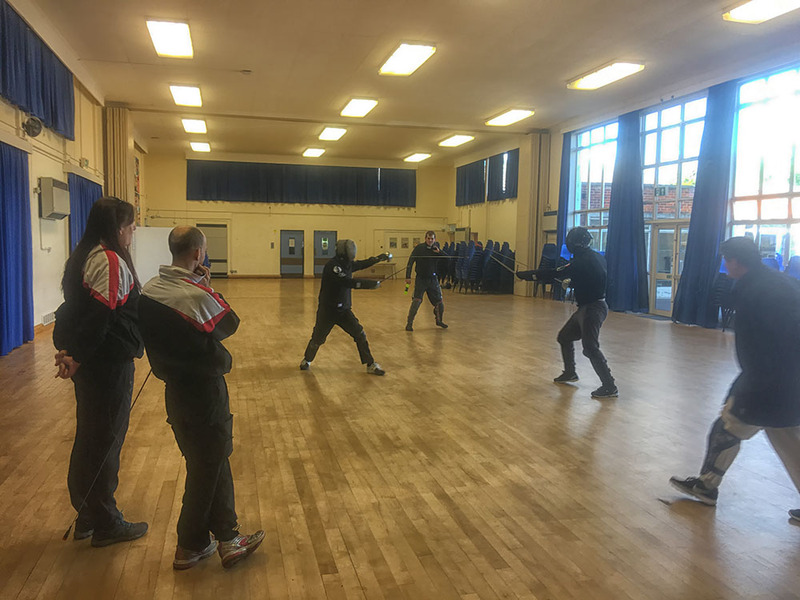 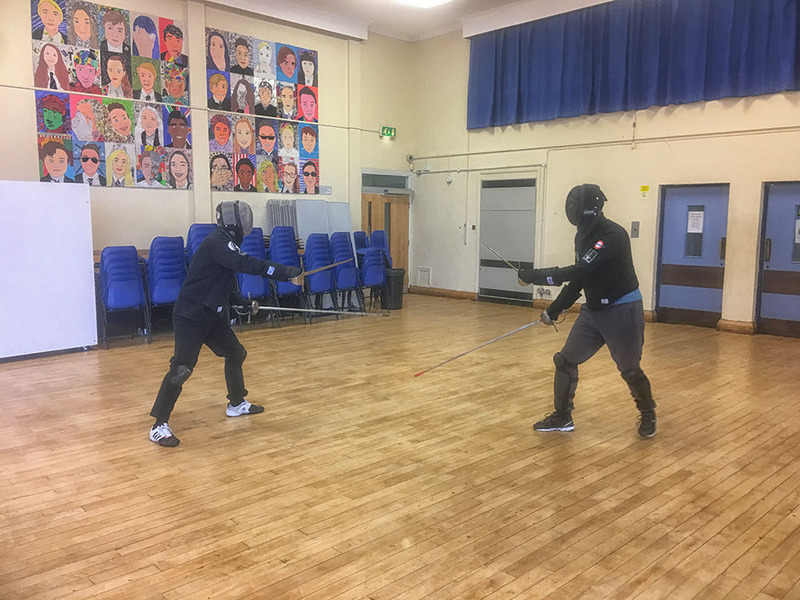 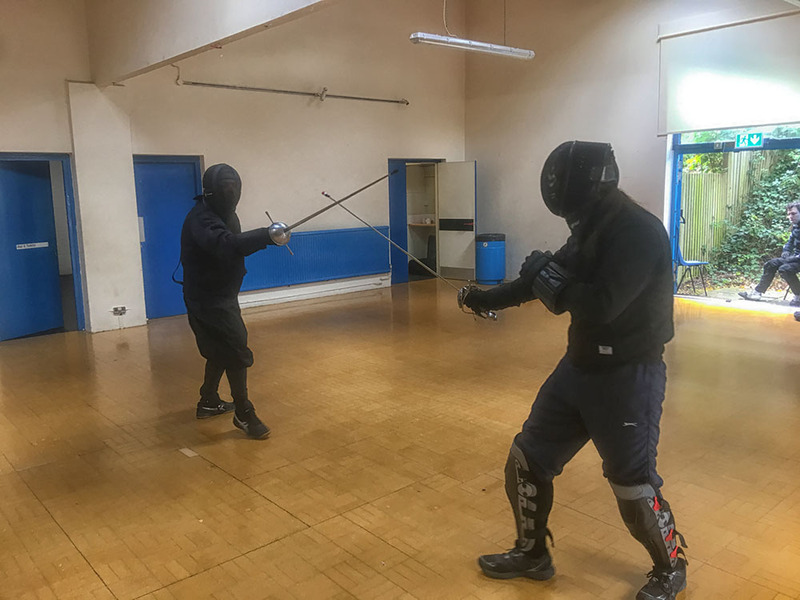 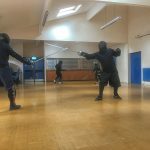 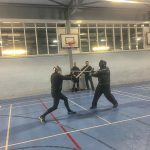 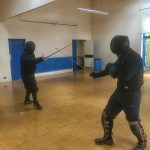 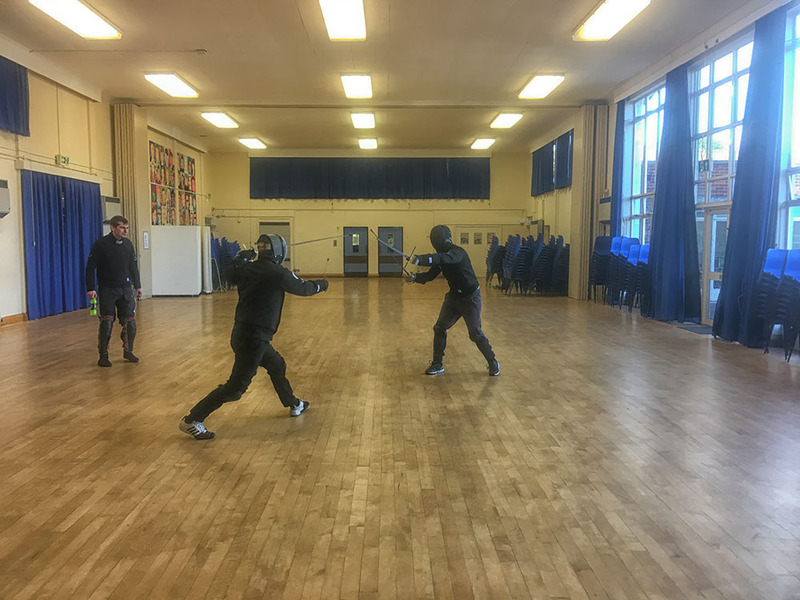 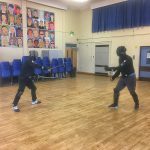 Matt continued his work with beginners on the foundations of swordplay whilst Christophe took the Bolognese group through the use of the stop thrust. 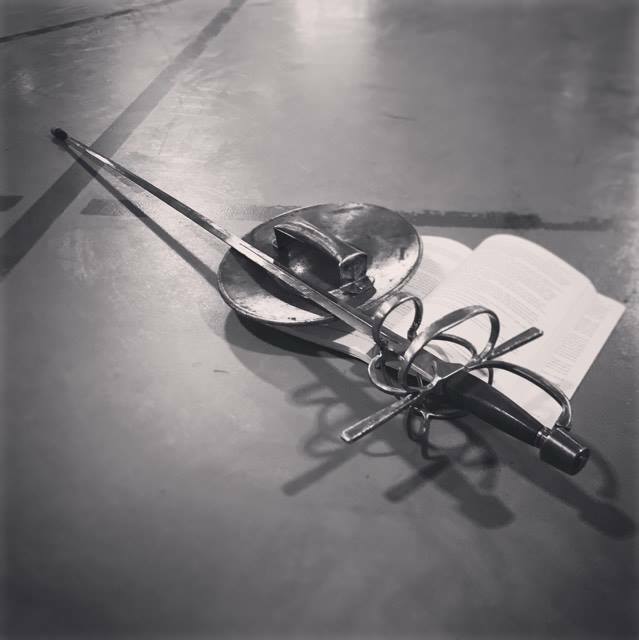 Meanwhile the rapier & dagger group did some tournament prep. 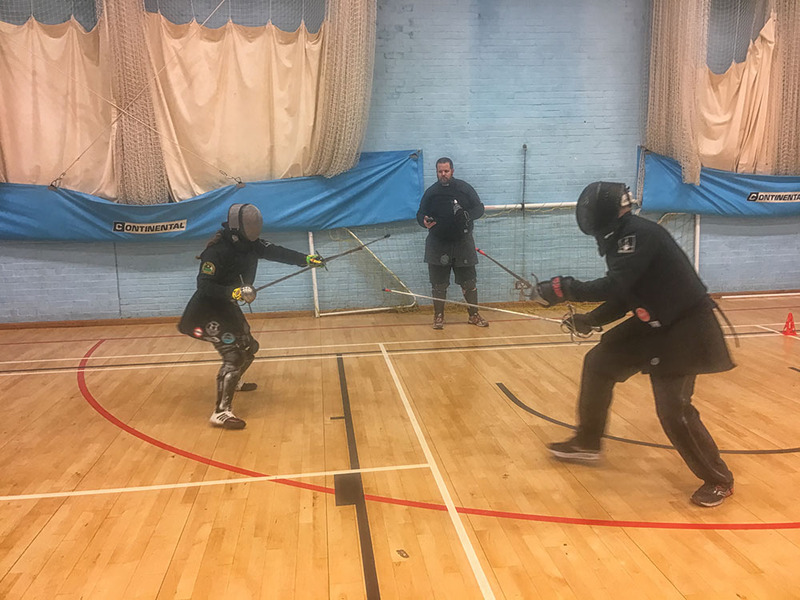 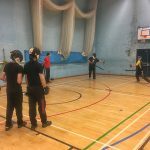 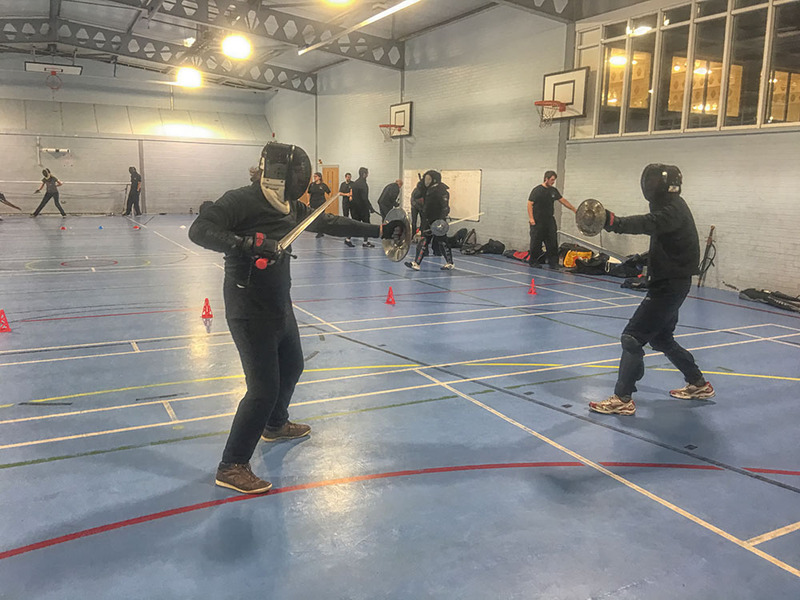 Sunday sparring was in Godalming this past weekend, where we were joined by a number of guests from other clubs and overseas. 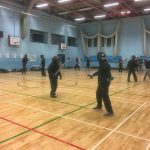 There was a good assortment of weapon combinations on show including sword & buckler, single rapier, and rapier & dagger. 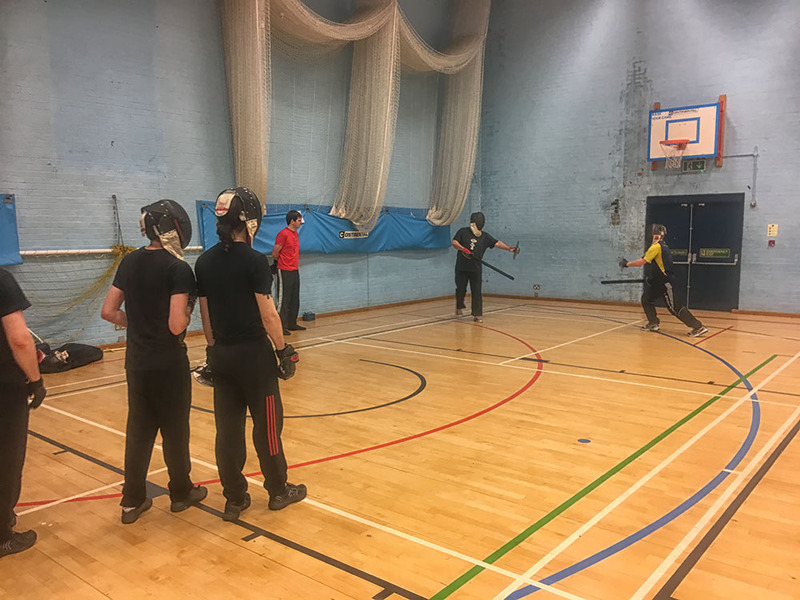 Wednesday saw our regular training session in Godalming with three different streams of training on offer to our students. 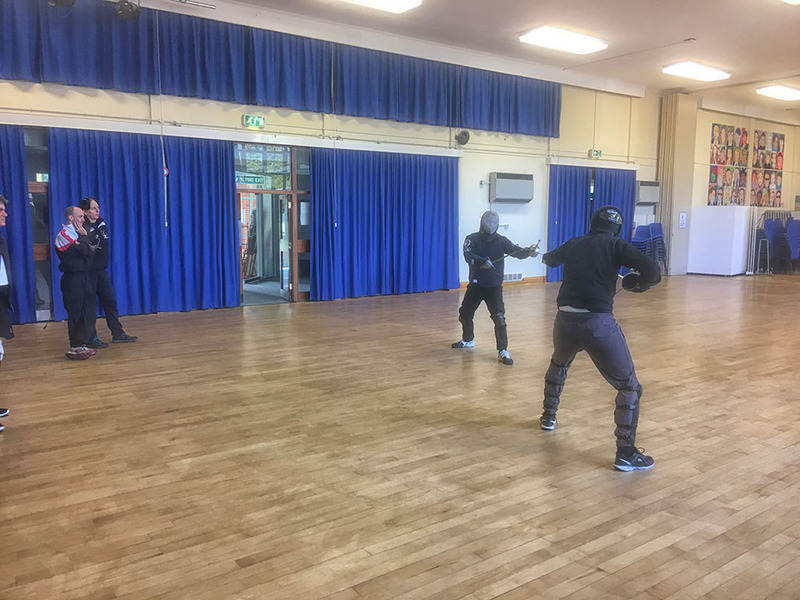 Fran introduced some newcomers to bolognese while the more advanced candidati worked as a group in preparation for safety test. 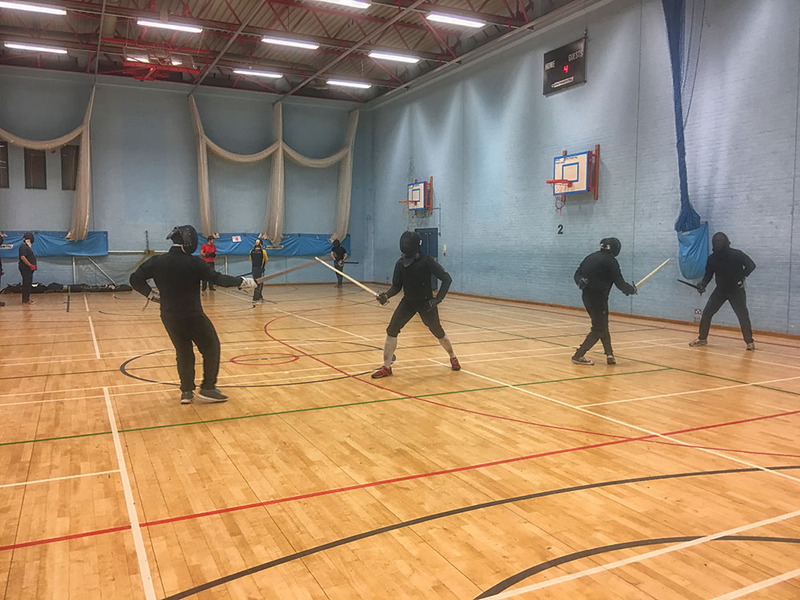 Lizzie’s group worked in pairs on manciolino plays Pim looked at binds in single and rapier & dagger. 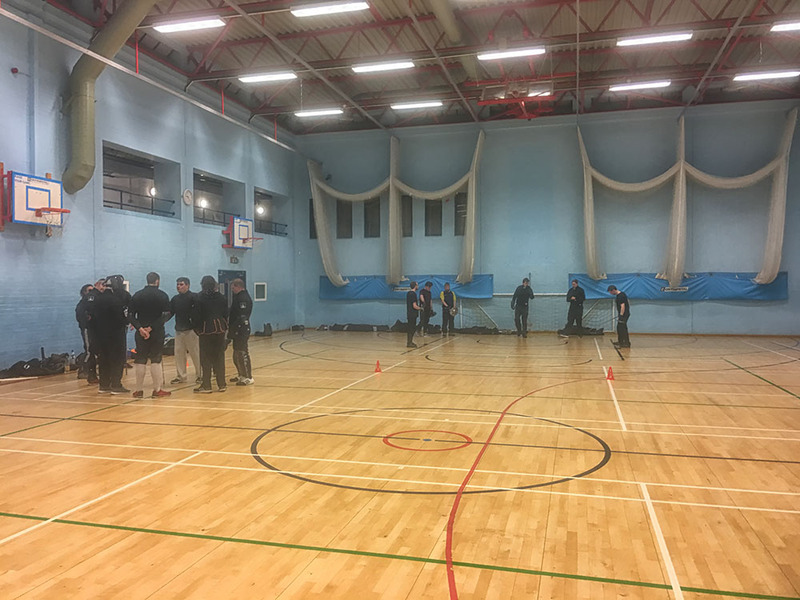 Monday night saw our regular training session in Reading with a good turnout across three different streams of learning. 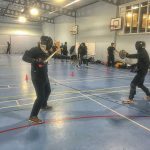 Students met up in Hawley this past weekend for our regular sparring session. 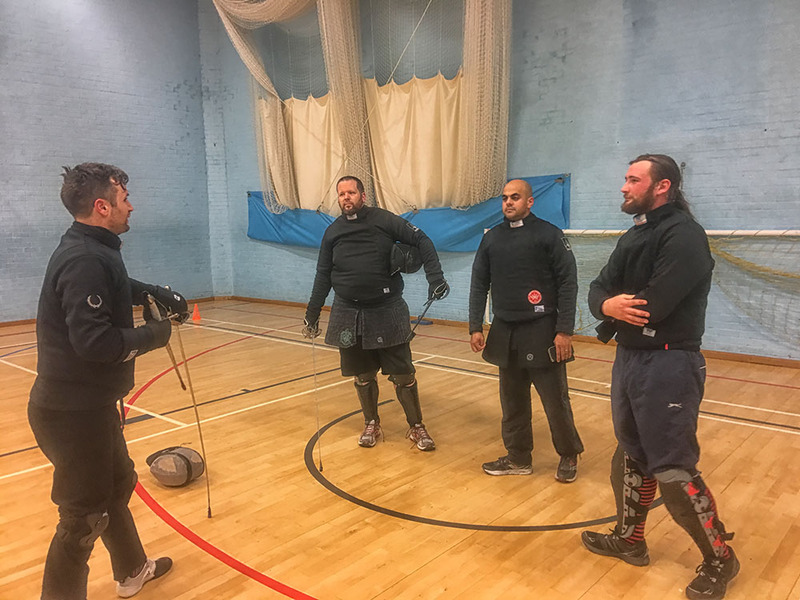 We were also joined by Marco from Danelli Armouries. 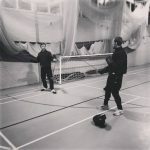 With a number of tournaments coming up it was a perfect opportunity for everyone to get in a little extra practise. 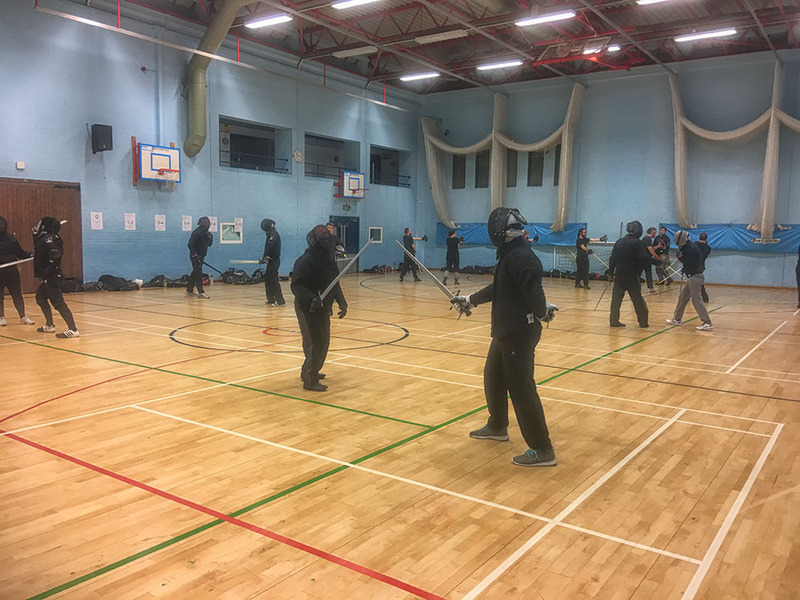 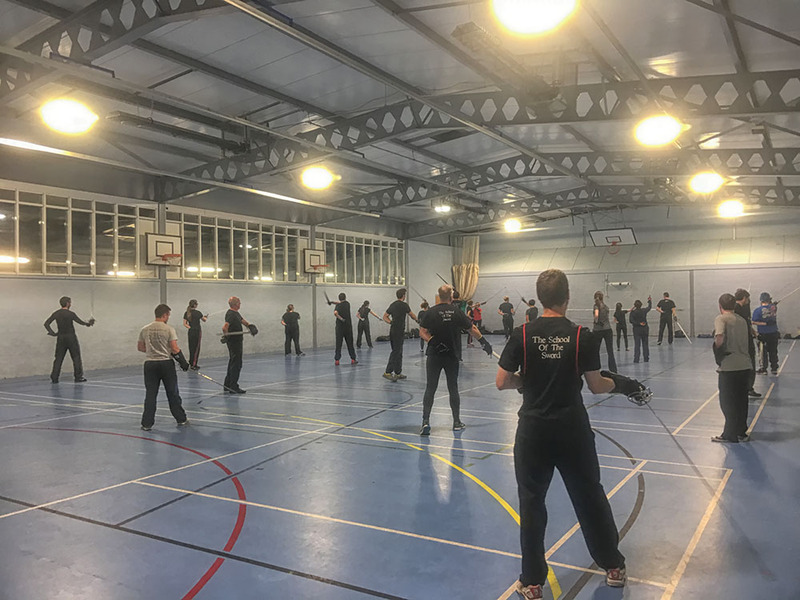 Last Wednesday night saw our regular training session in Godalming where a large number of students turned up for one of our three streams of training.